Today I finished the last piece I’m going to use for the Build a Line Challenge fromB’sue Boutiques. I’m very happy with what I’ve accomplished and after some discussion in the class I think I have a direction. This weekend I start the task of photographing all my pieces and getting ready for the last blog hop. To me this going to be one of the hardest parts. 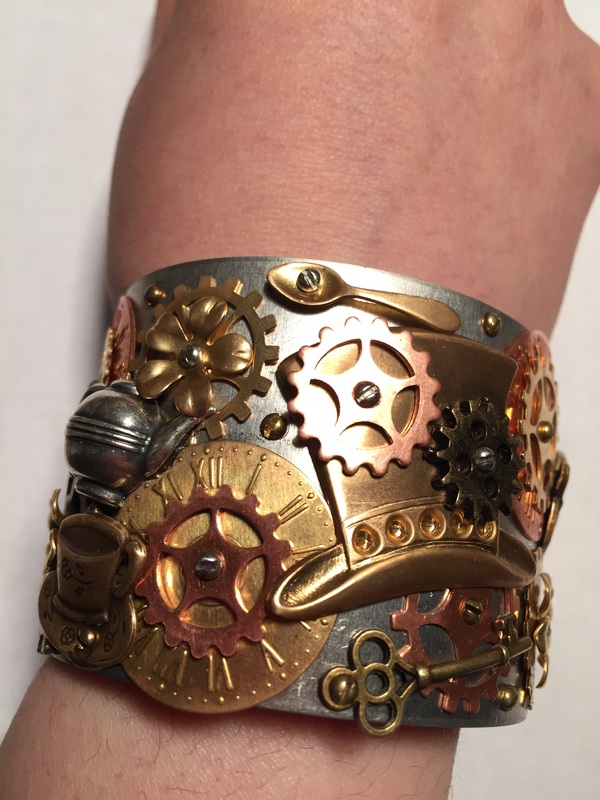 This entry was posted in Uncategorized on March 4, 2015 by shatteredtimejewelry. Thus far, my Shattered Time: Through the Looking Glass build a line challenge is coming along swimmingly! Perhaps even the Bloody Red Queen herself would be impressed with my progress. Thank you so much for joining me on this next step of my journey! I’m very happy with the cohesiveness of the line. They share elements and they match my design aesthetic. I think you can tell they all came from the same designer! Last but not least, a picture of my work area tonight. I’m planning on continuing further down the creative rabbit hole! Thank you so much for checking up on my progress! I’m looking forward to seeing everything my fellow designers have created during this blog hop, part two. Leave a comment if you’d like and enjoy the rest of the hop! 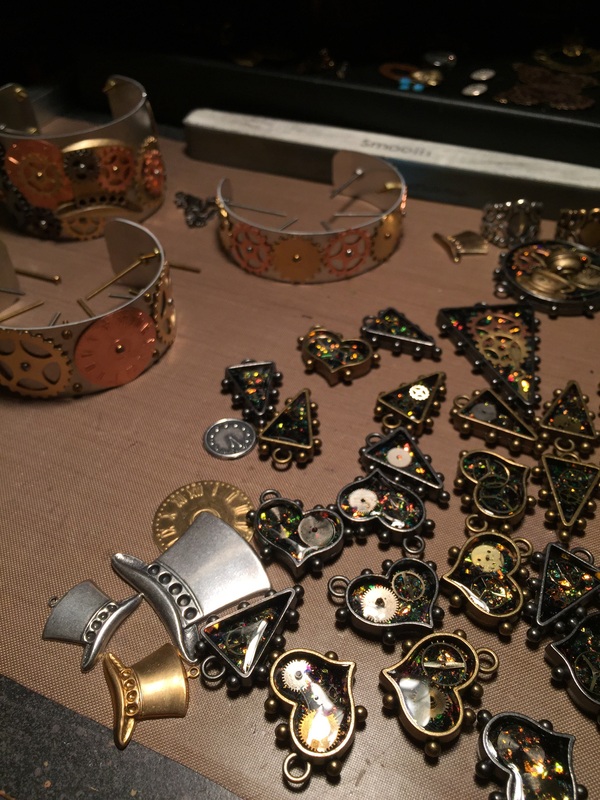 GREETINGS and WELCOME to the second installment of a trilogy of blog hops for the BUILD A LINE challenge and master class! 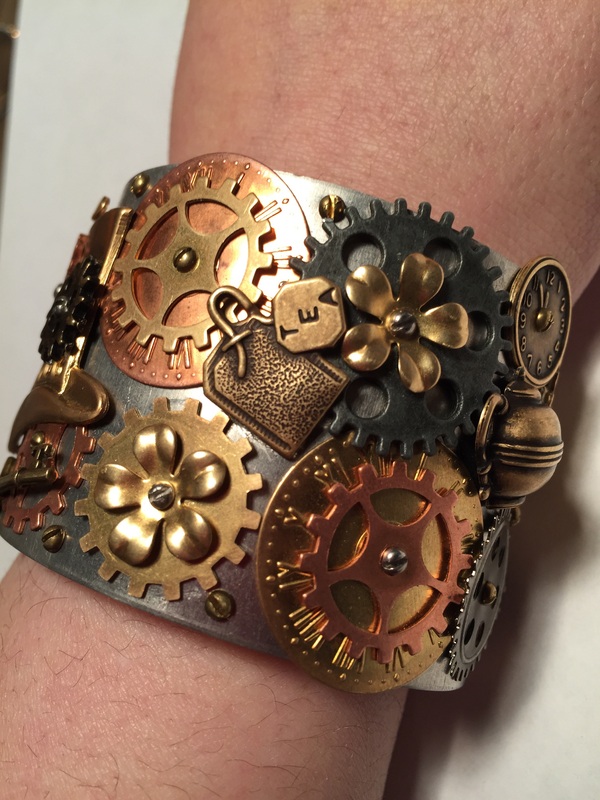 This entry was posted in Uncategorized on February 20, 2015 by shatteredtimejewelry. Hello! My name’s Erin Whitacre from Girard, Ohio! 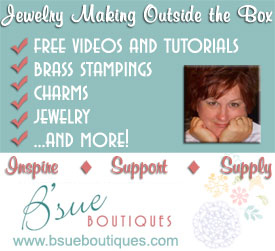 Thanks for stopping by my blog to check out my new line as part of the B’Sue Boutiques Build a Line Challenge! 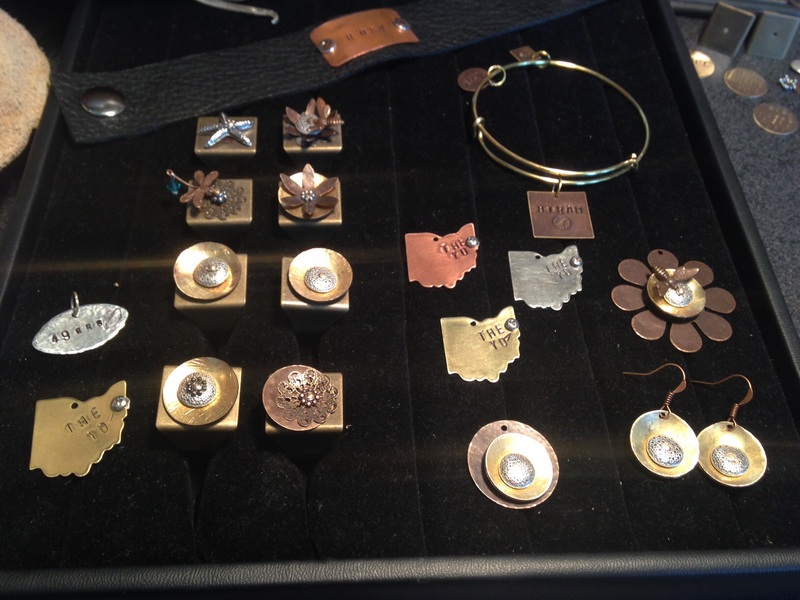 Over the next three months, me and several other participants will be taking part in a master class aimed at creating, designing and refining an original line of jewelry. 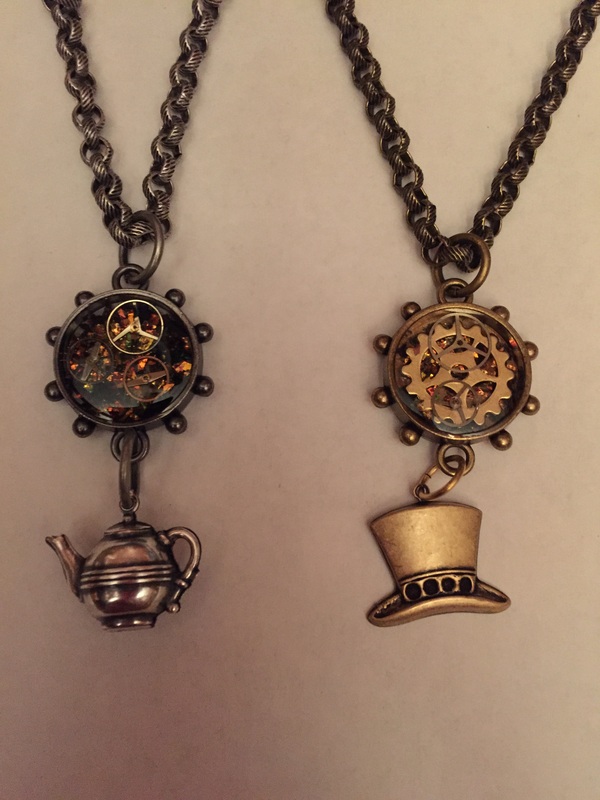 The theme of my line is A Steampunk Trip Through the Looking Glass. My inspiration is Lewis Carroll’s timeless literary masterpiece, Alice in Wonderland. The story is, of course, a journey of imagination and wonder–and I hope to capture some of that magic with the pieces I’ll be creating. I picked this theme because it connects with my jewelry concept of Shattered Time. In Wonderland, nothing is at is seems. Many of the characters, concepts and themes of the story will be evident in my line. While the final pieces will share similar traits, all of them will be unique and different in their own way. Here is the first piece I conjured up in my head. 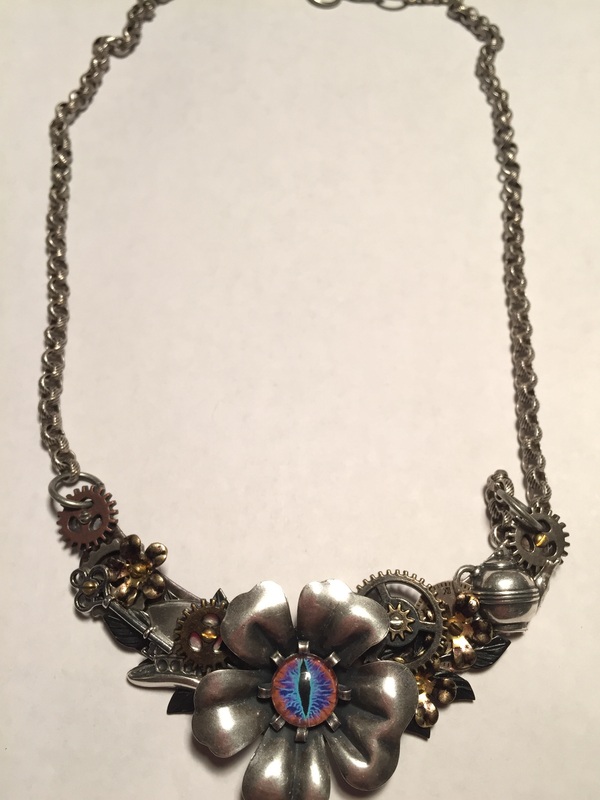 This is a larger necklace concept, which incorporates several of the element from Alice, as well as utilizing a few of my own Shattered Time creations. 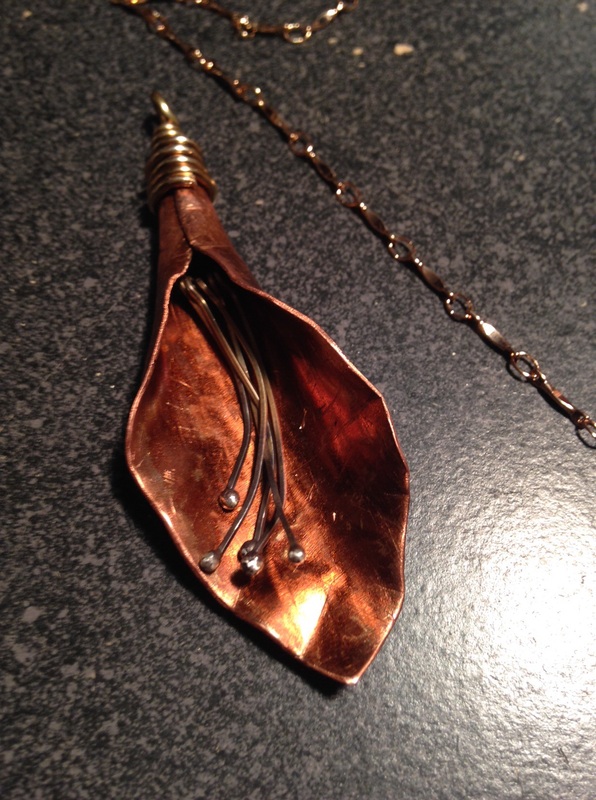 And I’ve also started a scaled down version, which will be a smaller necklace once completed. Both of these items are incomplete, but are coming along quite nicely. Over the next few months, I hope to develop more pieces and diversify the line–with the help of the rest of the members in my creative group, and B’Sue! Please feel free to leave comments and suggestions, and DEFINITELY enjoy the rest of the blog hop! 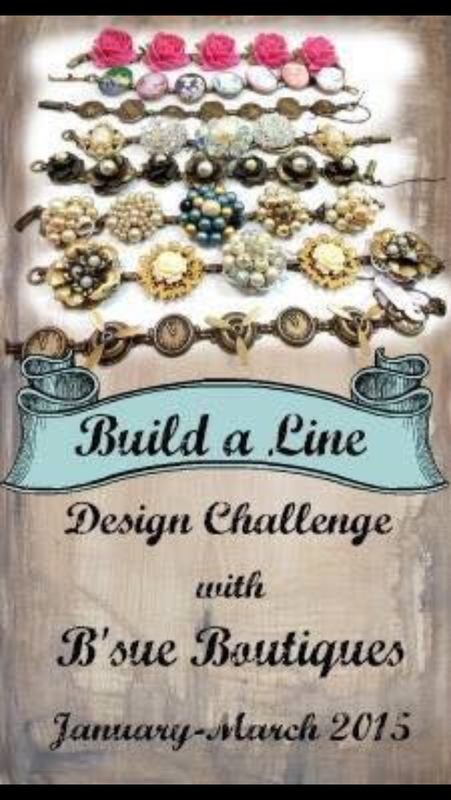 GREETINGS and WELCOME to the first of a trilogy of blog hops for the BUILD A LINE challenge and master class! 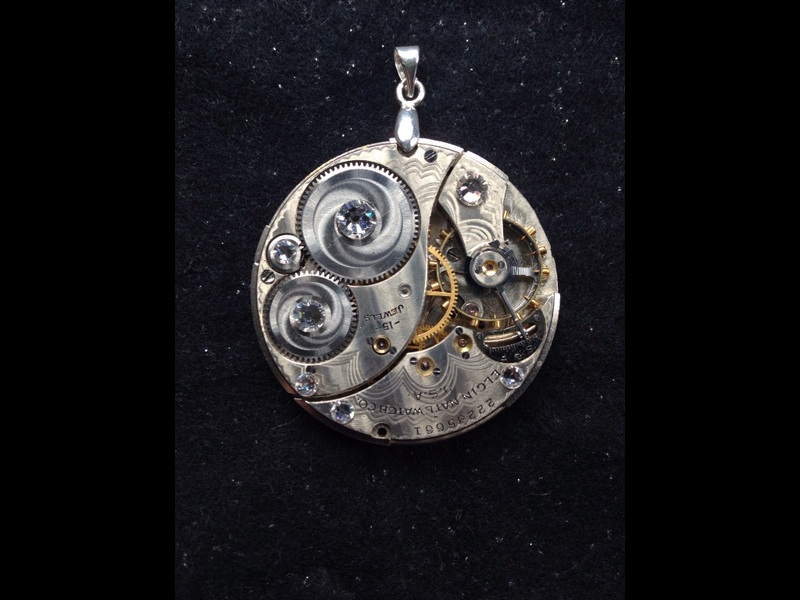 This entry was posted in Uncategorized on January 23, 2015 by shatteredtimejewelry. 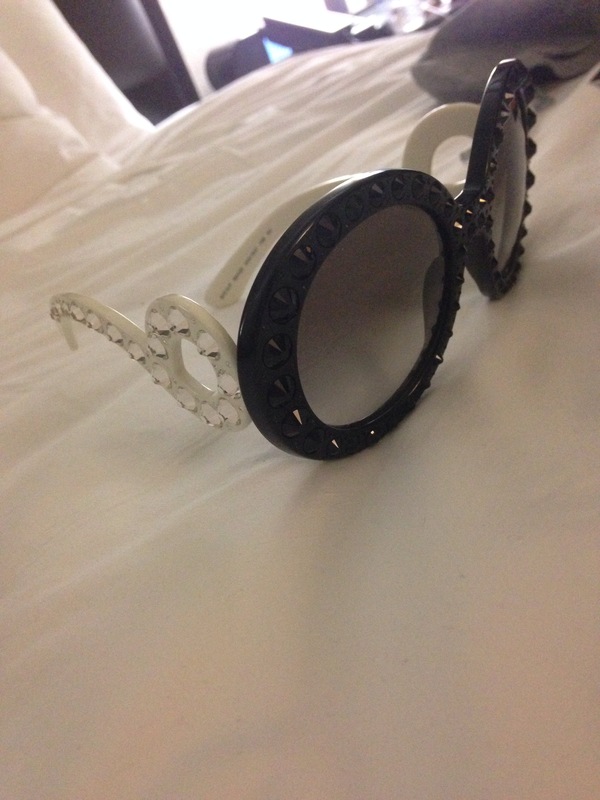 After 5 days of shopping and gathering more inspiration I’m back home from NYC with these fabulous sunglasses although it’s still winter here in Ohio. 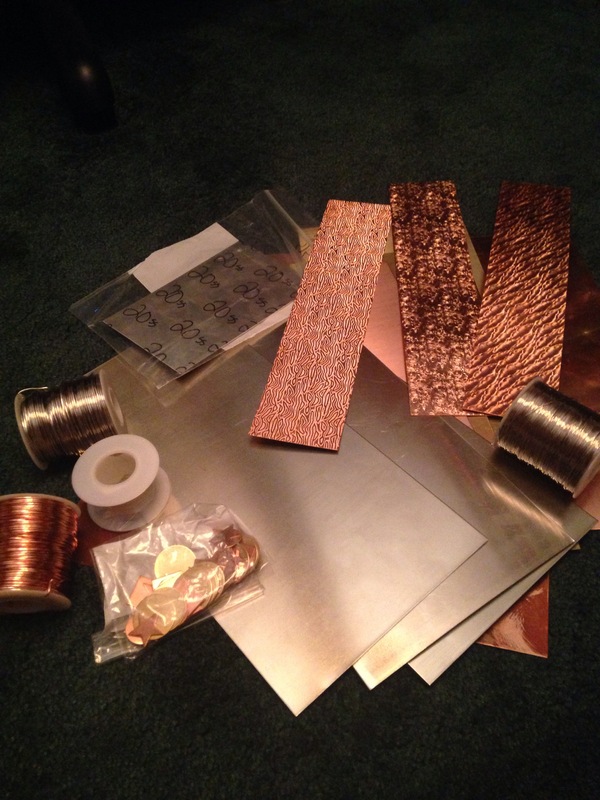 Also picked up a bunch of metal sheet and wire to stock up my stash. As part of the B’sue Boutiques creative group design a line challenge I’ve been busy at work for the big reveal this Friday January 23. ( by the way it is also my amazing grandmothers 96th birthday!) The blog hop will feature all of the participants in the challenge. Hope everyone will check it out! It is going to be amazing! 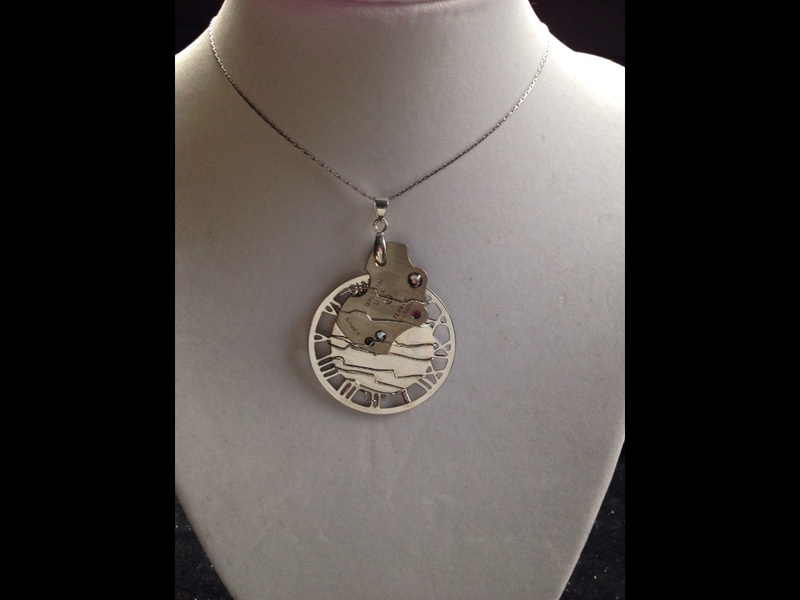 This entry was posted in Uncategorized on January 20, 2015 by shatteredtimejewelry. In a few days, I will begin a 3 month creative journey. 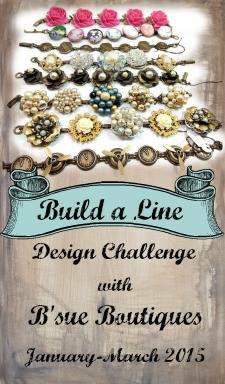 The build a line challenge with B’sue from B’sue Boutiques. I’m slightly nervous but fully prepared to immerse myself in this project and to absorb as much experience as I can from this opportunity. There will be pictures to come in the next few days and daily posts as we progress. I hope you enjoy the journey with me!!! 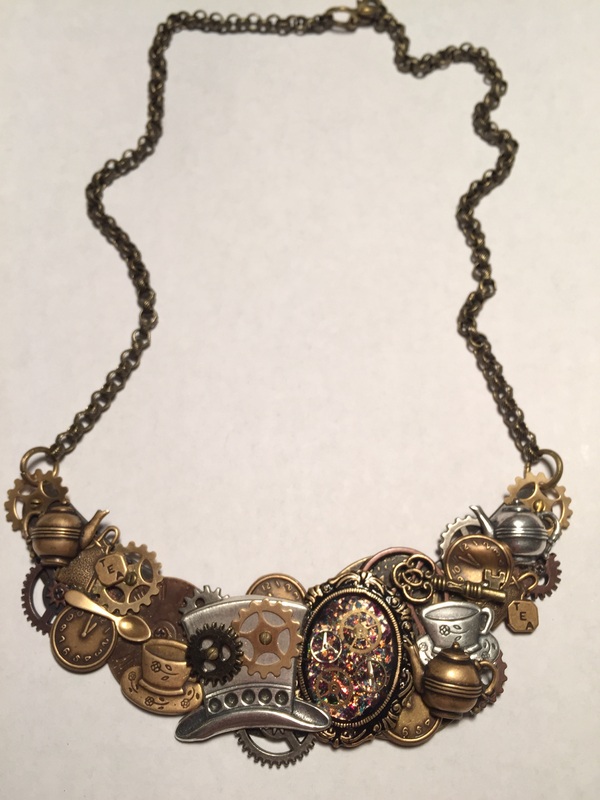 This entry was posted in Uncategorized on January 6, 2015 by shatteredtimejewelry. Cookies, a necklace, and more cookies! 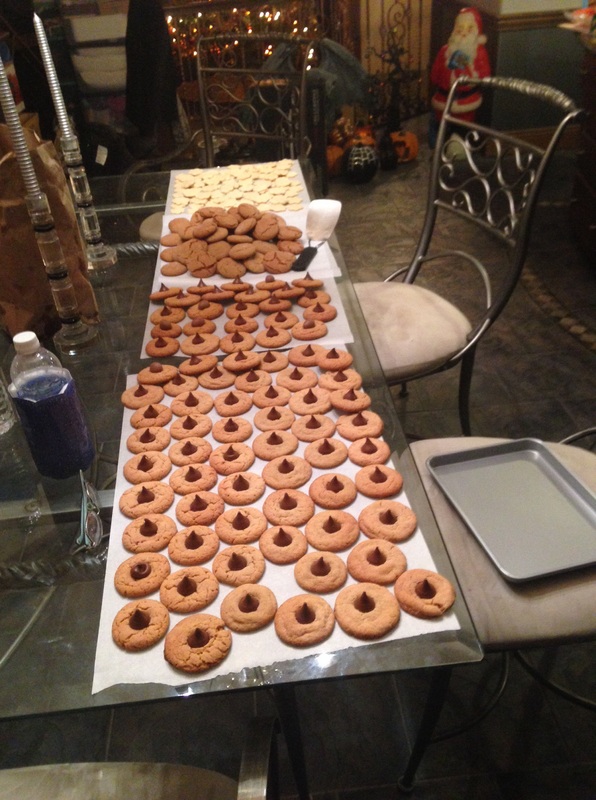 After a long work day yesterday I spent today baking all day. Got almost all of it done. 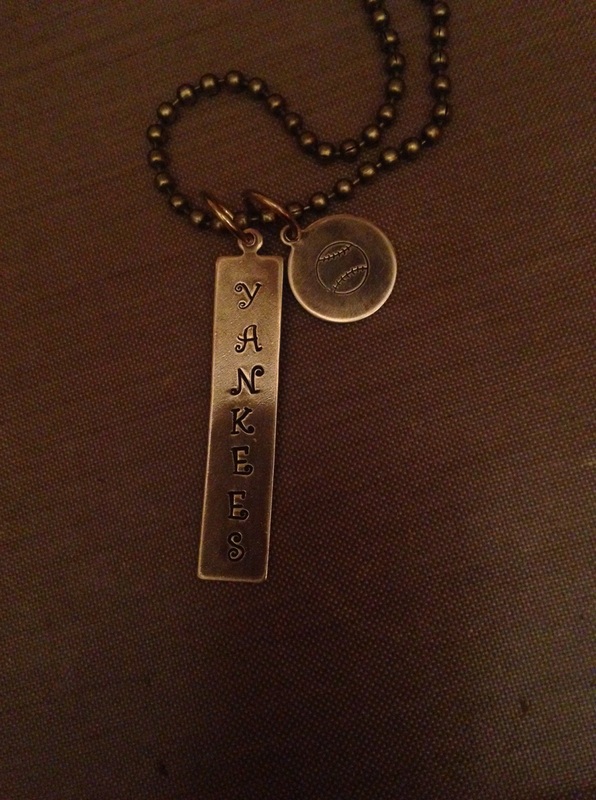 Took a break however to finish this necklace for a friend to give as a gift. I also received another fabulous order today from B’Sue Boutiques but the contents are a secret because I hope to participate in a 3 month build a line challenge starting in January. I am part of the B’Sue creative group on facebook and this challenge is just one of the great learning opportunities that we can take part in. 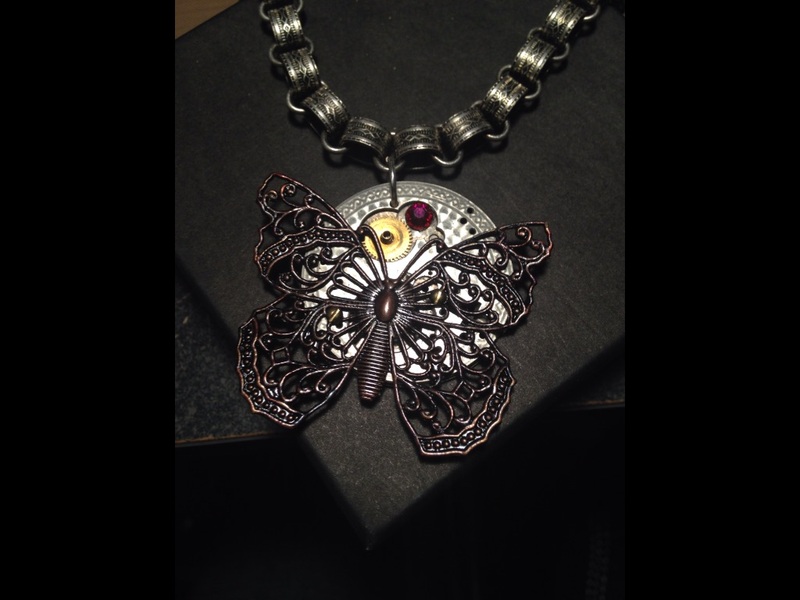 This entry was posted in Uncategorized on December 18, 2014 by shatteredtimejewelry. I guess I should start at the beginning….. I’m Erin and I love crafting and creating. 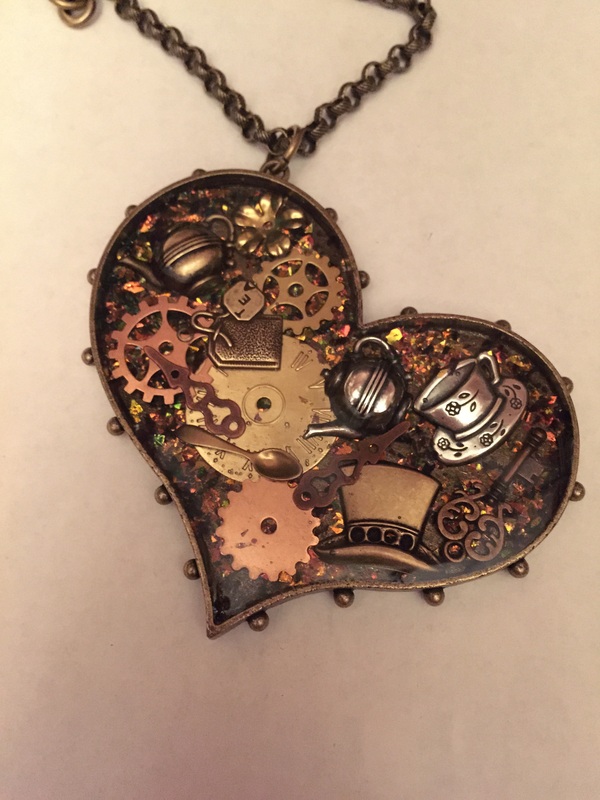 From a very young age I was encouraged to express my creativity and have spent my free time for the last 30 years coloring, painting, sewing, molding things out of clay, cake decorating, making loads of crafts and about 3 years ago settled primarily on making jewelry. I enjoy mixed media because I can mix all of the techniques I’ve gathered. I’ve always been told I have an old soul and I guess that’s why I love to include beautiful old items with quality new items. I’ve begun to do some metal work and am excited to see where it takes me. Well…. enough of my rambling here are some of the things I’ve done and hopefully you will follow my journey! 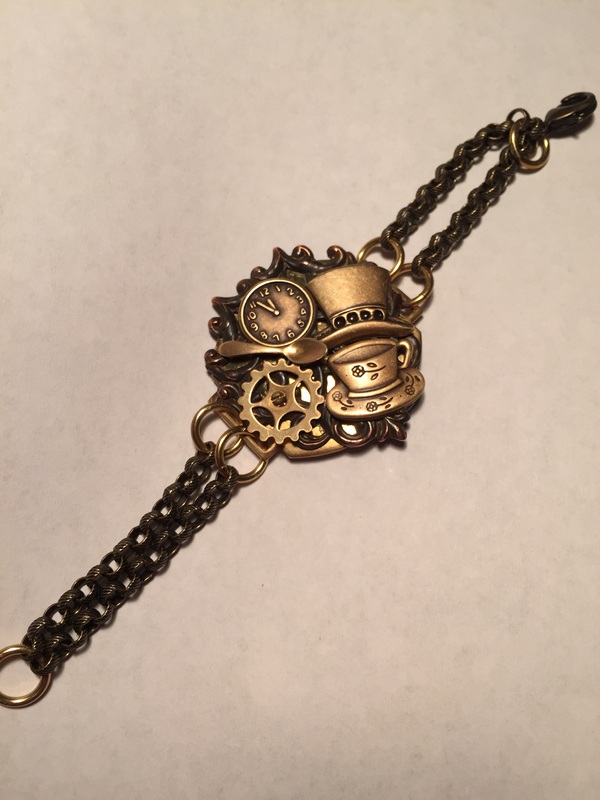 Welcome to the ShatteredTimeJewelry blog!